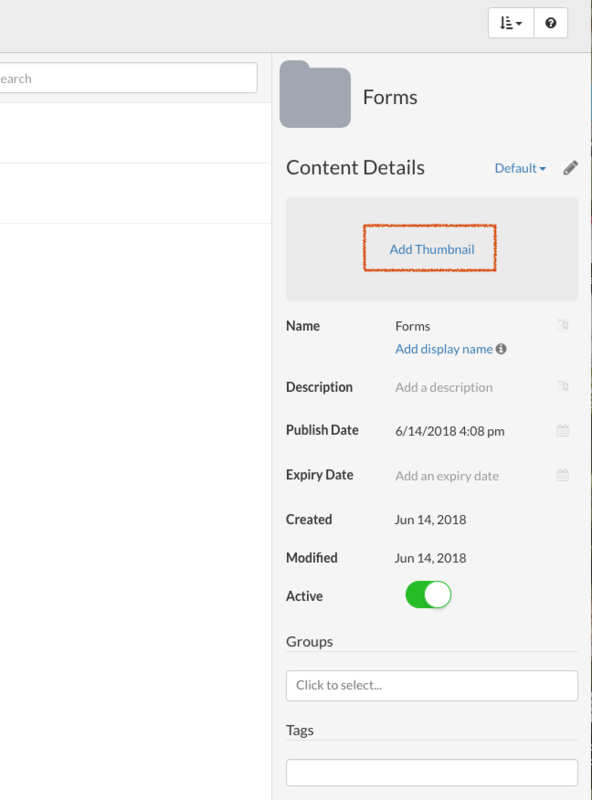 Drive engagement by adding bright thumbnails to your folders and content. Within an instant, your content is welcoming, easily distinguishable and fun to navigate. In the admin portal, click on the folder or file to access the settings which appear in the right-hand navigation. 2. Under Content Details click Add Thumbnail and upload an image from your computer. 3. Once the image has been selected and added, hit the save button. See the below screenshot for some great examples of how thumbnails can be used. Thumbnails that have been uploaded from your computer are also saved in the Select Thumbnail section in each of the Zunos' modules that utilizes thumbnails The latest upload of thumbnails will appear at the top of your selection of thumbnails. Admins can select a thumbnail image that they've previously uploaded. 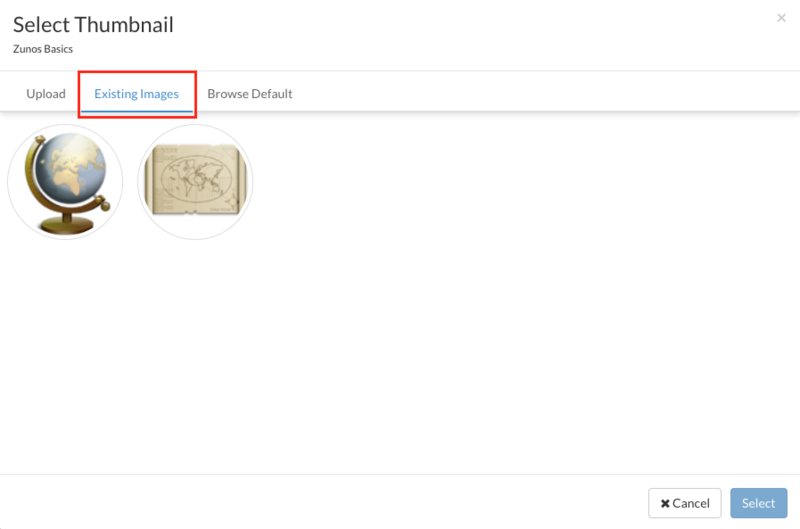 Previously uploaded thumbnails will be located in the Existing Images' tab. 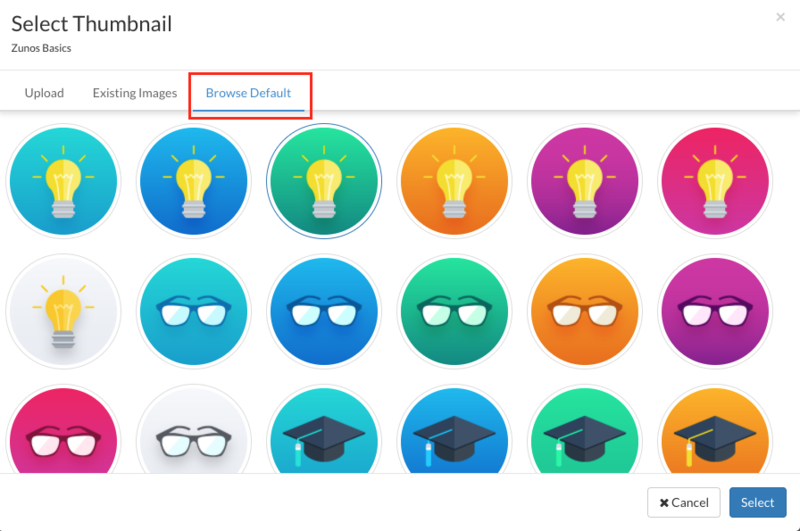 Admins can also choose Zunos Default thumbnails to use for Content, Quizzes, Achievements, and Forms. Default thumbnails are located in the Browse Default tab in Select Thumbnail section. 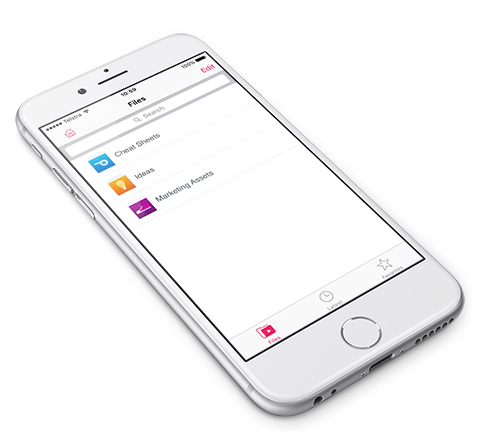 Thumbnails placed on Media folders and quizzes are also shown when you use the Search feature in iOS. 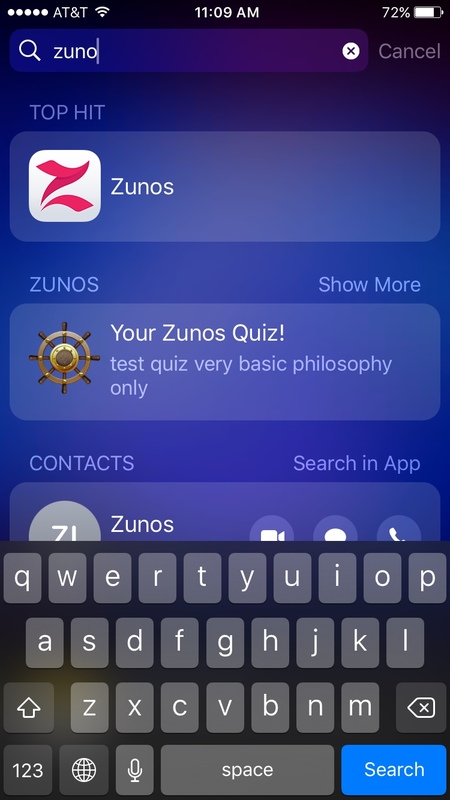 Type in the name of a media content or quiz in the Search field in your iOS mobile device and notice that media or quiz will appear, along with the thumbnail attached to it.